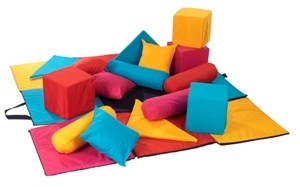 The seating cube is an ingenious design. 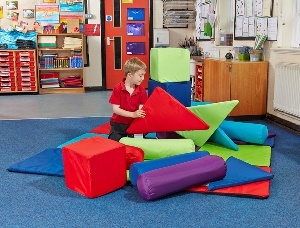 The cube encases 16 cushions and unzips to create a checkerboard play mat. 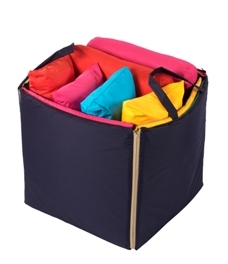 Once it has been used it can be zipped back together to reform the cube for easy storage.